This Saturday, community members are invited to the Estacada library for an afternoon of holiday music, cider and cookies. four part vocal group Hearts in Harmony and the Estacada High School Troubadours. Additionally, Hearts in Harmony will give away free copies of their new Christmas album "Holiday Harmonies." "Last year was the first year we brought in musical performers for Cider in the Stacks. The Ellen Whyte Trio played two sets," said Michele Kinnamon, director of the Estacada Public Library. "This program is an opportunity to show off our wonderful library and to offer the gift of music to lift people's spirits during the holiday season." Sue Norman, a member of Hearts in Harmony, said the group is looking forward to the event. "We're very blessed that the organizers contacted us," Norman said. "We're excited to do things for our community, and support community endeavors. We have a heart to support different things going on in the community." 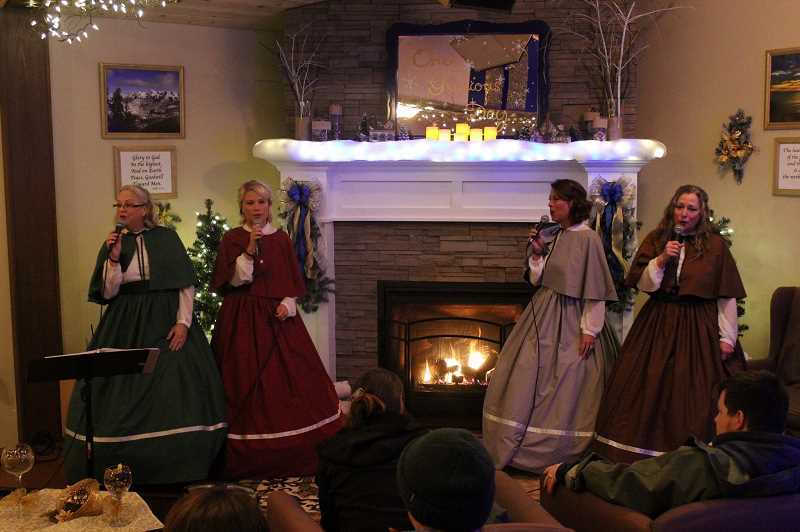 Hearts in Harmony's album and set list for Cider in the Stacks includes acapella versions of holiday songs such as "Carol of the Bells," "Winter Wonderland," "The First Noel" and "O Come, All Ye Faithful." The Friends of the Estacada Public Library hope the event encourages community members to stop by the library. "Cider in the Stacks allows library users, as well as the general public, to come in and experience all the library has to offer, while at the same time enjoy some marvelous, tasty holiday treats and decorations," said Friends of the Estacada Public Library President David Bugni. WHAT: Cider in the Stacks at the Estacada library, featuring live music, cider and cookies. WHEN: 2-5 p.m. Saturday, Dec. 16.